We offer tailor made racing packages to suit your budgets and aspirations. If you have your own car, we can organise a full seasons racing on an Arrive and Drive basis, or just handle set up and car preparation. Alternatively we can lease you a car for a full season (arrive and drive basis only). We can also hire out a car for testing, try out a track days with or without tuition (for novice or intermediate drivers) and arrange closed circuit test day events as hospitality for your clients or sponsors. Reflex Racing are currently looking for a team sponsor to enable the continued success of the team. As a sponsor there would be opportunities for team branding (race cars, clothing, pit area or transport vehicles), race day hospitality, use of race cars at trade fairs, showrooms or non race events, including track days as well as tv coverage on ITV4, Sky Sports and Men and Motors. 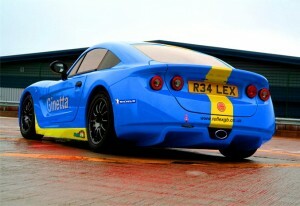 Ginetta GT5 Challenge featured on the British GT and BTCC packages.